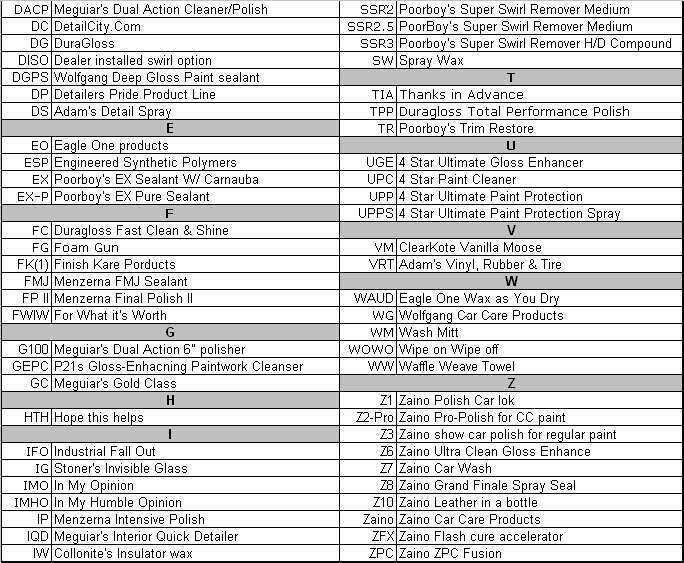 Here is a chart below that list a few of them. 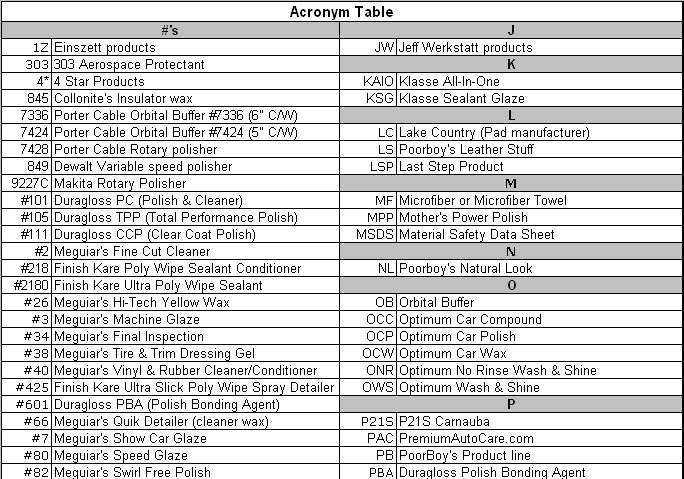 I browsed the vast internet and found a list of Detailing Acronyms. 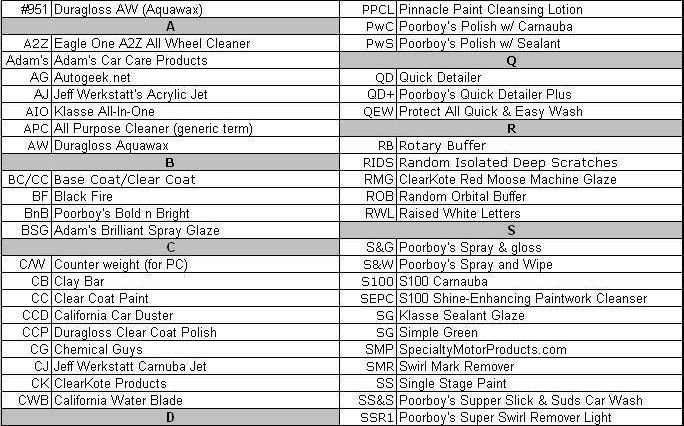 This is a dynamic list. I'm glad to add new acronyms as they arise. If anyone doesn't see one that they know then please post below. PITA Pain in the "back side"
WWJD What would Justin Do? Last edited by Merlin; 11-25-2012 at 07:15 AM.